How incoming MLB commissioner Rob Manfred has quietly accumulated and wielded power for his office, from the 1994 strike to the 2013 Alex Rodriguez PED case. If Major League Baseball were the Genco Pura Olive Oil Company, then Robert D. Manfred Jr. — exiting commissioner Bud Selig’s longtime adviser and MLB’s current chief operating officer, who will inherit the game’s top office next season — has for more than 16 years been the sport’s Tom Hagen. Like Robert Duvall’s consigliere character in The Godfather, Manfred is close-cropped, buttoned-up, and publicly soft-spoken. And also like Hagen, Manfred can be a cunning attorney who specializes in the Machiavellian aspect of running an organization that relies on uneasy alliances between powerful bosses. Over the years, Manfred’s work has been largely performed in the shadows. Manfred has been prominently involved in all aspects of the commissioner’s duties, from negotiating revenue sharing and television deals to honing MLB’s performance-enhancing-drug policy. But rarely have baseball fans been granted a glimpse of his hard-nosed wizardry. In public and when dragged before Congress, Manfred has been an understated but steadfast supporter of Selig, deflecting blame from his boss onto the Major League Baseball Players Association for resisting stringent steroid testing for years. 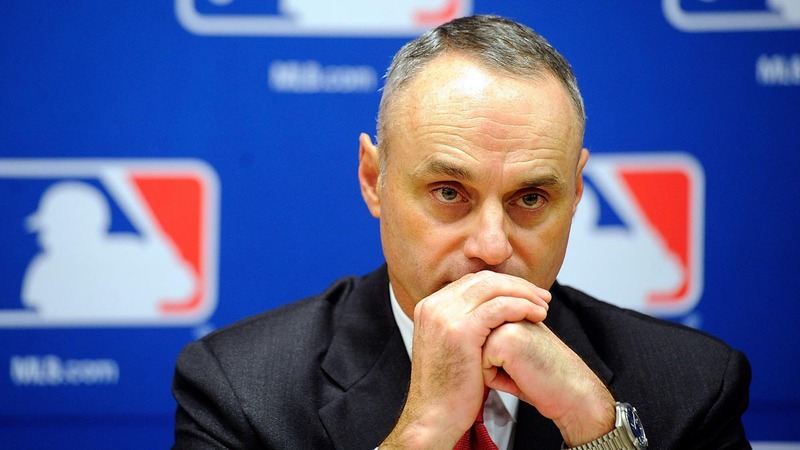 Behind the scenes, meanwhile, Manfred has been baseball’s de facto district attorney, overseeing the complicated business of punishing ballplayers caught doping while navigating an ongoing tug-of-war with the union over the league’s drug agreement. Even before baseball, Manfred made his living at confidential bargaining tables, as a labor lawyer who represented corporations like Pan Am and the Alton & Southern Railway Company in negotiations with union reps. The nature of Manfred’s career until now makes him one of the least public figures to ever become MLB commissioner. He has shied away from candid interviews. (Unsurprisingly, he and MLB declined to comment for this article.) While Selig, a self-proclaimed baseball history buff, has often seemed to obsess over his legacy and ingratiate himself with fans, Manfred quite clearly does not care what outsiders think of him. Take Manfred’s 249-word “speech” upon being named commissioner-elect. Manfred thanked his wife, his kids, the other two candidates whom he had bested, and, of course, Selig. Manfred has done such an expert job of shutting down inquiry into his methods that the best way to understand how he operated as Selig’s right-hand man — and to appreciate the cunning he’ll likely deploy in his tenure as commissioner — is to examine a document that was never supposed to be public. Manfred’s confidential testimony in the arbitration hearing over Alex Rodriguez’s PED suspension, a transcript we have obtained, shows how Manfred influenced Selig’s decision-making on one of the most fraught decisions the departing commissioner ever had to make: how to handle the worst performance-enhancing drug cheat in baseball history. The October 2013 testimony, in which Manfred went under oath 10 months before he was named the sport’s next commissioner, contained several bombshell revelations, most notably the news that MLB had given A-Rod a medical exemption to use banned substances in 2007 and 2008. But it also shows how Manfred — who said he spoke to his boss seven or eight times a day — talked Selig down from what would have been a knee-jerk decision to ban A-Rod for life. Instead, Manfred saw an opportunity to play the long game and follow a tack that would give his office a powerful tool for future battles. And Manfred operated so quietly that his role in deciding the punishment of Rodriguez, and the probable impact of his strategy, has been largely overlooked by the press. That subtle efficacy was Manfred’s trademark as an MLB executive, and his testimony in the A-Rod hearing suggests it will continue to be his calling card as commissioner. Baseball law is a curious thing. As in any judicial setting, rulings rely on precedents. And instead of Ernesto Miranda, whose Supreme Court case resulted in the requirement that police read suspected criminals their Miranda rights upon being arrested, baseball has Ferguson Jenkins. When Jenkins, a future Hall of Fame pitcher, refused to answer baseball officials’ questions concerning his arrest on cocaine and hashish possession charges in 1980, a union arbitrator found that the league couldn’t punish him for his silence. Jenkins was employing a legal strategy enshrined in the Bill of Rights and familiar to anyone who’s watched Law & Order: He was pleading the fifth. Rodriguez’s stonewalling marked a turning point after what had been a frantic six months for MLB’s legal team. It started the afternoon of January 25, 2013, when the league office learned of several emails to Major League Baseball teams employing Biogenesis-linked ballplayers, sent by Miami New Times reporter Tim Elfrink — one of the writers of this story — seeking comment for an exposé of the clinic. Even before it was published, the impending Biogenesis article ignited an independent investigation by MLB that produced reams of evidence, including business and medical records and text messages that suggested Rodriguez had purchased and used at least five banned substances over three years and that he had tried to buy evidence and intimidate or pay off witnesses to cover up his offenses. MLB also filed a lawsuit against Biogenesis founder Anthony Bosch in an ultimately successful gambit to coerce him to implicate former clients and testify against Rodriguez. The most harshly punished PED violator up to that point had been the San Francisco Giants’ Guillermo Mota, who had been suspended a combined 150 games following positive PED tests in 2006 and 2012. Mota’s case was an example of how MLB, under Manfred’s direction, established precedents for use in future battles against the union concerning PED suspensions. When Mota had argued following the 2012 failed test that he had accidentally ingested a banned substance in his child’s cough syrup, league attorneys didn’t bother trying to prove that the relief pitcher was lying. Instead, they convinced an arbitrator that it didn’t matter whether ingesting a banned substance was intentional or not. In doing so, the league wasn’t just securing Mota’s punishment but also ensuring that in future cases, ballplayers couldn’t use accidental exposure to drugs as a defense. The 150 games Mota had served would factor heavily into Manfred’s thinking as to what punishment Rodriguez, a far worse offender, should receive. In 1995, Manfred’s legal team went toe-to-toe with a future U.S. Supreme Court justice — and baseball’s next commissioner lasted 15 minutes. The strike that had wiped out the previous year’s World Series was threatening to eradicate another season. Sonia Sotomayor, then a federal judge in the Southern District of New York, was set to decide whether baseball owners had the right to suspend free agency and arbitration while a new collective bargaining agreement was being negotiated. MLB’s outside counsel was Morgan, Lewis & Bockius, where Manfred was a labor and employment lawyer and one of the lead attorneys for the owners. During his pre-MLB legal career, Manfred had taken on powerful unions in federal court and displayed a knack for unearthing minutiae that could swing a case in his clients’ favor. Despite his relative youth, Manfred “was the technical mind behind a lot of those briefs you’ll read on those cases,” said Thomas Reinert Jr., a partner at Morgan Lewis. Still, the legal defeat led to a big opportunity for Manfred. Selig dismissed Manfred’s associate, Chuck O’Connor, who had been the owners’ lead attorney. By 1996, “I was essentially dedicated full time to baseball,” Manfred said during Rodriguez’s arbitration. Two years later, the commissioner’s office hired him to be executive vice-president of labor relations and human resources. Long before he was hired by MLB, Manfred had been deeply involved in the labor turmoil that led to Selig winning the commissioner’s office. Owners and players had been on a collision course since the late 1980s, and three separate arbitration boards had found that owners had illegally colluded to underpay stars in a scheme to derail free agency, which cost players $280 million in lost salary. In 1990, when players were locked out just before spring training, MLB recruited Manfred to represent its interests in the resulting negotiations. The owners were a hard-nosed lot who, even more so than today, loathed compromise. The commissioner then, Fay Vincent, didn’t appear to have the resolve needed to crush the players’ union in negotiations. Manfred was watching a college basketball game at Madison Square Garden on a day off from union talks, as Howard Bryant recounted in Juicing the Game, when he learned that Vincent had gone behind his back to end the strike by offering concessions to the players, including six-figure minimum salaries. Vincent’s unwillingness to hold the line against the players led to an owners’ coup, and within two years, Selig, then the Milwaukee Brewers owner, replaced Vincent. Selig showed he was no Fay Vincent in 1994 when he allowed a strike to wreck a season, but apparently he also underestimated how much a canceled World Series would damage the sport. The strike was one of Selig’s greatest missteps as commissioner, and Manfred had front-row seats to learn from the mistake of heedlessly challenging the union as he became Selig’s inseparable deputy. Manfred’s first season as a full-time MLB employee, 1998, was the year in which Selig and most of the sports world sat entranced as Mark McGwire and Sammy Sosa shattered home run records and circled the bases with their Lou Ferrigno physiques. When a reporter noticed a bottle of androstenedione in clear view in McGwire’s locker, Selig didn’t have drug experts on hand to explain the substance. He had to ask his Milwaukee pharmacist and George Steinbrenner for guidance. And in fact, when the steroid issue became too glaring to ignore, Selig’s poor understanding of PED science was his only viable defense. In June 2002, Selig sent Manfred to testify before a U.S. Senate subcommittee that was examining illegal steroid use in MLB. At the time, the league still didn’t have a mandatory drug-testing policy for players. Partly in response to government pressure, the league implemented the first step toward testing the following season, although in those early days both the methods and the sanctions were glaringly insufficient. As a precursor to the Mitchell Report, which would further expose the sport’s addiction to PEDs, both Selig and Manfred were called back before Congress in March 2005, along with current and former players and union officials. Manfred has, however, shown traces of Selig’s habit of ignoring issues until they boil over. He has been dismissive of the growing number of ballplayers who gain exemptions to use attention deficit drugs, which many around baseball consider a new alternative to traditional banned stimulants like amphetamines. Manfred played a driving role in turning MLB’s doping policy into the most stringent one of the four major U.S. professional sports. Baseball was the first to test for HGH, the first to institute advanced testing that can determine whether testosterone is natural or synthetic, and the first to create a truly intimidating set of punishments for cheaters. Behind the scenes, it was Manfred — in his role as a chief negotiator with the union — who hashed out nearly all of those rules. There was no greater test of Manfred’s work than the Biogenesis scandal, when a list of big leaguers nearly as long as a clubhouse roster was linked to a PED clinic by investigative evidence alone, with most of them having never failed a drug test in their careers. It was a moment of crisis for which Manfred had prepared through years of laying groundwork in lesser-known cases. In 2006, federal agent Jeff Novitzky followed a package of human growth hormone through the mail to the Arizona doorstep of Jason Grimsley, a veteran relief pitcher for the Diamondbacks. Grimsley was open with the agent about the widespread use of PEDs in Major League Baseball. It was Grimsley who made the now-famous assertion that big league clubhouses had coffee pots labeled “unleaded” or “leaded” to indicate which had been spiked by amphetamines. In a search warrant affidavit, Grimsley also said he had scored HGH from “a doctor in Florida that he was using at a wellness center.” Grimsley told Novitzky that “boatloads” of players were getting PEDs this way. But the commissioner’s office had a problem. Although HGH was banned in baseball starting in 2005, the league had no physical evidence. All Manfred had to go on was the hearsay contained in Novitzky’s search warrant affidavit, and the league’s newly minted drug agreement had no provision for administering punishment after a “non-analytical positive” — a case in which the accused player had not failed a drug test. MLB needed to find a resolution to Grimsley’s case that would satisfy both the “irate” Diamondbacks front office and the players’ union. The team wanted to vacate the half-million dollars remaining on Grimsley’s contract, but terminating contracts due to PED violations has always been unacceptable to the players’ union. Manfred helped forge what looked like a compromise. In a settlement with the MLBPA, both sides agreed that in Grimsley’s case — and in those of future ballplayers where there was non-analytical proof that they had doped — MLB could issue suspensions as if the player had failed a drug test. Grimsley was suspended for 50 games and never played again in MLB. Though the Diamondbacks would still have to pay Grimsley’s salary during the suspension, the money would be donated to charity, Manfred explained during his A-Rod testimony. The union had prevented a potential assault on guaranteed contracts. But in doing so, it had strengthened the commissioner’s ability to punish players. Manfred had helped establish a precedent for MLB to discipline players based on investigative evidence alone. This capacity became more significant after the issuance of the Mitchell Report, which mandated the creation of baseball’s very own PED-focused Department of Investigations, a body that would hunt specifically for non-analytical evidence. And the push from the commissioner’s office to allow MLB to sanction players who had never tested positive for banned substances would make it possible for the league to punish Biogenesis cheats, who were implicated only by testimony and paper records. The Grimsley episode serves as an example of what could be called Manfredian cunning. While the Diamondbacks and the players’ union looked to stem the emergency with as little immediate damage as possible, Manfred’s office was integral to manipulating the situation to expand the power of the commissioner in the long run. Manfred further strengthened his legal arsenal in 2008 in the little-heralded case of Detroit Tigers shortstop Neifi Perez, who had tested positive for illegal stimulants three times in the previous season. The transgressions of a 34-year-old infielder with a sub-.200 batting average didn’t make for earth-shattering headlines, but Perez’s case did provide Manfred with another opportunity to empower the commissioner’s office. Perez had failed PED tests for the same substance in quick succession. Following the third test, the commissioner’s office had suspended Perez for 80 games, which at the time was the punishment for a third stimulant violation. When the players’ union appealed to an arbitrator on Perez’s behalf, arguing that he should not be punished for multiple uses of the same substance, Manfred took the stand — as he would in 2013 during Rodriguez’s grievance — on behalf of the commissioner’s office. Like Grimsley, Perez never played another MLB game after his suspension. With the Perez case, Manfred had established another precedent for the league. This time, it was that each instance in which a player used a banned substance would be counted as a unique violation. This would play an important role in the league’s eventual case against Rodriguez. And the same year as the Perez grievance, a change was quietly added to the league’s drug policy that would prove particularly vital in that looming legal battle. The clause appeared to give the commissioner free rein to punish any player who violated the drug policy without having to abide by strict suspension lengths. Despite the power 7.G.2 gave the commissioner’s office, it was mostly ignored by the press at the time. It has not been previously reported that it was introduced as a result of the Grimsley case, which Manfred confirmed in his confidential testimony. To test the just-cause provision, Manfred needed a perfect perp. In early August 2013, less than a month after learning that Rodriguez had stonewalled MLB’s counsel in Florida, Manfred conferred with his boss, Selig, about meting out punishment. Selig, in his second-to-last season as commissioner, likely knew that he — like others before him — would be remembered for his disciplinary actions. Kenesaw Mountain Landis, the game’s first commissioner, banned eight members of the infamous Chicago “Black” Sox, who helped fix the 1919 World Series. Bart Giamatti is remembered as the leader who banned Pete Rose for betting on baseball. Perhaps Selig thought he could make up for years of inaction concerning PEDs by banning Rodriguez, who was arguably the game’s most high-profile offender. “There was a point in time,” Manfred testified during Rodriguez’s arbitration, “when Commissioner Selig asked me about longer discipline and specifically the issue of a lifetime ban.” Manfred studied the precedents. He considered Guillermo Mota, the most harshly punished big leaguer despite his claim that one of the infractions had stemmed from gulping children’s cough syrup. One of Manfred’s most important recommendations to Selig came down to this simple logic: A-Rod trumped Mota. Rodriguez’s penalty “had to be a number above 150,” Manfred testified. Manfred reviewed the arbitrator’s decision in the Neifi Perez case and decided that it gave Selig an opportunity to deliver the harshest PED-related punishment ever to Rodriguez. MLB possessed evidence that showed Rodriguez had used five banned substances over three years. Under the drug agreement, a third violation resulted in a lifetime ban. “I told Commissioner Selig that there was a rationale under the agreement that a lifetime ban could be supported,” Manfred testified. But then he argued that “the better place to proceed” was a more strategic tack: A-Rod would be an ideal test case for the “just cause” clause. MLB would invoke just cause against another Biogenesis client, Milwaukee Brewers slugger Ryan Braun. But Braun’s 65-game suspension was something of a plea deal with the former MVP, and the player agreed not to challenge it in arbitration. 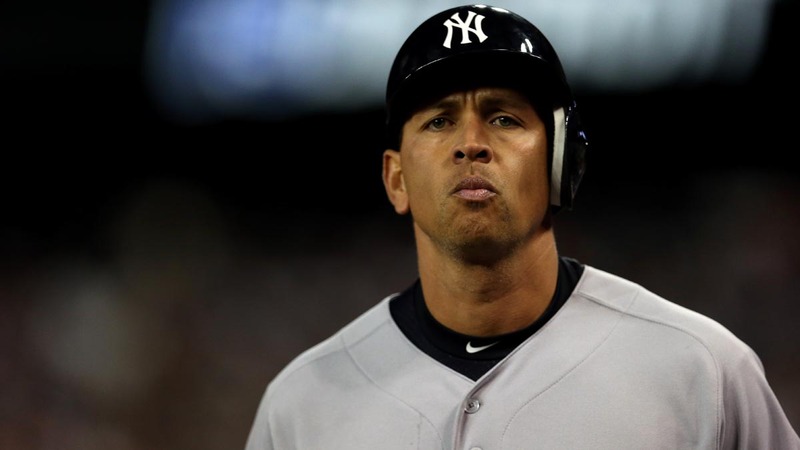 A-Rod’s case would be the real trial of the league’s just-cause powers. If MLB upheld a lengthy suspension against A-Rod, it would establish the clause as a powerful and legitimate tool for future doping cases. Selig agreed with his consigliere’s assessment. Manfred helped write the letter informing Rodriguez of his punishment, and the commissioner signed it. Manfred’s decision not to pursue a lifetime ban against Rodriguez, even though it was technically possible, was yet another example of Manfred’s deft strategic mind. Manfred chose the long-term goal of accruing power for the commissioner’s office over the short-term public relations benefits that MLB might have gained from banning A-Rod. Manfred seemed to understand that the MLBPA would be less likely to mount a strong defense for Rodriguez over a finite suspension than it would over the precedent of a lifelong ban for PED use. Manfred again managed to strike something that looked like a compromise but in fact had assured that the commissioner’s office would emerge the winner. During his testimony, when Manfred explained his decision to use the just-cause rule, the future commissioner only hinted at its strategic utility. He mentioned that using 7.G.2 would “give the commissioner the ability to deal more flexibly with that sort of a case.” Given that Manfred was already believed to be Selig’s heir apparent, he may have been setting himself up to use the clause for years to come. Arbitrator Fredric R. Horowitz wound up reducing A-Rod’s penalty to 162 games, but for Manfred, the upshot was the same. Rodriguez would serve the longest PED suspension in league history and the commissioner’s use of just cause had been upheld. According to a source who witnessed the proceedings, this exchange was the hearing’s version of the “You can’t handle the truth!” moment from A Few Good Men, with Manfred losing his familiar cool in shouting down Tacopina. But it’s hard to imagine that Manfred was terribly upset. If this was the fight A-Rod was picking, then Manfred must have known he’d already won. Tim Elfrink is the managing editor of Miami New Times. Gus Garcia-Roberts is an investigative reporter at Newsday. They are the authors of Blood Sport: Alex Rodriguez, Biogenesis and the Quest to End Baseball’s Steroid Era.